What’s the deal with mashups? Well, the internet is a vast ocean of possibilities. Sometimes things come together perfectly and it makes total sense why they have been mashed up. Other times, things don’t really add up but the result still works in its own, weird way. Then there’s the last category where disparate elements are mixed together to produce something misshapen but funny, unique, or at least noteworthy. Out of the sea of troubles that is the world wide web comes this latest mashup of two seemingly unrelated songs that blend together to create a grotesque hybrid that is hard to forget. 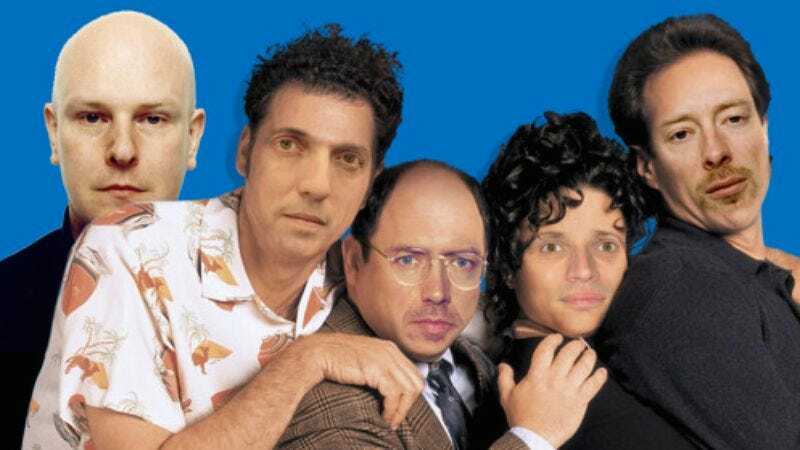 The wah-wah bass line of the Seinfeld theme lends itself to many different songs. But few have the imagination to take the plaintive tones of Radiohead’s “My Iron Lung” and place it over the beat. These two staples of the ’90s have collided together thanks to Electrolemon (a.k.a Demi Adejuyigbe) to produce a unique sound. According to his Twitter, Adejuyigbe has embarked on a quixotic journey to harvest ideas for mashups from Twitter and make a bunch of joke ones throughout July. So now the origins of this mashup are known, but the why of it will always remain a mystery. As it should be in the vast wastelands of the internet, where reason sometimes takes a backseat to ability.